3. 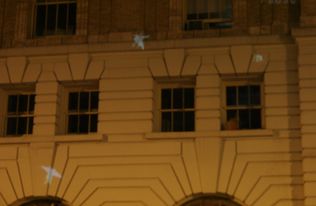 Dino Loves Rosie, 2005, Urban Projection and sound installation, NY, NY. 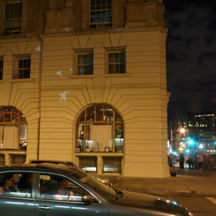 Dino Loves Rosie , 2005, Three channel video, with audio.Two video projections onto buildings across the street from one another: ("Pigs Fly" and "Love Letters") where two fiery neighborhood fixtures Rose and Dino lived and ate. 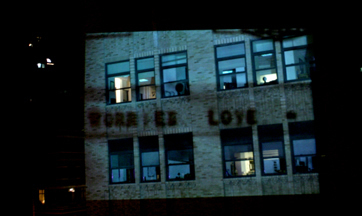 ("Love Letters" is comprised of abandoned materials left after their departure.) Rose sings The Wildest Girl in Town (click here to see Rose singing), a song written for Rose or by her somewhere in Chile circa September, 1973 on a small monitor in Socrates Diner's window. 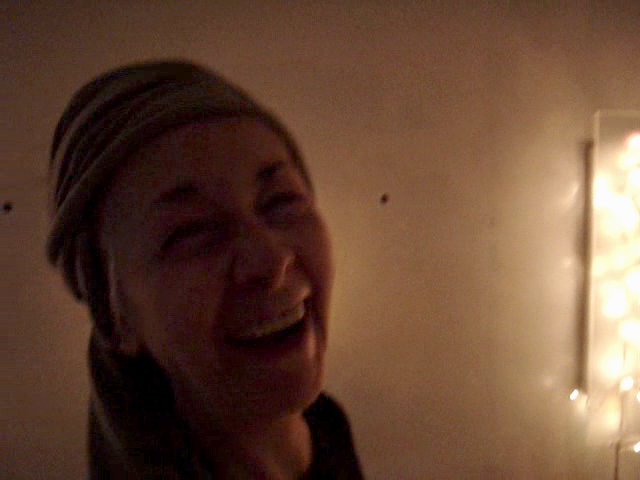 The last frame of the video (Rose Grinning) was on the screen, in silence, for 10 minutes during the loop. 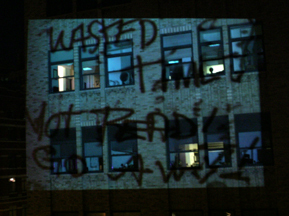 As Rose's strong voice began, she would startle passers-by.This installation was part of the Fete de La Lumiere Festival, 18 June 2005.